I am on the committee organizing a rally for the military, police and firefighter (Green, Blue, and Red Knights) motorcycle clubs this coming October in Harrison, Ark. I was wondering if you could give me some advice on how to approach dealers, manufacturers and aftermarket companies for support in these economically challenging times. We would accept monetary donations toward the charities we’re supporting, products for door prizes, or just an on-site display setup. The three clubs are about community service, hence this theme is a friendly competition with support for local economy. First thing you might want to do is obtain a copy of our latest Buyer’s Guide (our December issue), which lists all the companies in alphabetical order. You may want to go through the listings, marking the companies in your neck of the woods. For dealers, you can go to the OEM sites and type your ZIP code into the dealer locators. These companies and dealers may be interested in participating directly. Everybody is busy during the summer, so keep your message short and to the point. Most companies don’t have extra money right now, so I wouldn’t lead with that. On the other hand, many companies and dealers do have noncurrent inventory that they may be willing to donate. I’d lead with that, after you explain what it’s all about. And who knows, you may even get some money. As you know, the powersports industry has always had warm feelings for the military, police and firefighters. To increase your chances, I’d contact as many companies as you can. For companies with which you’re not familiar, I’d at least browse their websites before calling. With dealerships, you’ll want to contact the actual owners or general managers, so you’ll need to ask for them when you call. At least ask for their e-mail addresses. Some dealers may be more impressed with an actual letter. With manufacturers and distributors, you may have more luck contacting the person in charge of marketing. But with the smaller ones, you also may want to go straight to the owners. That’s all I had. If you have any other suggestions or would like to help David out, please post below or e-mail me at aredwine@dealernews.com. 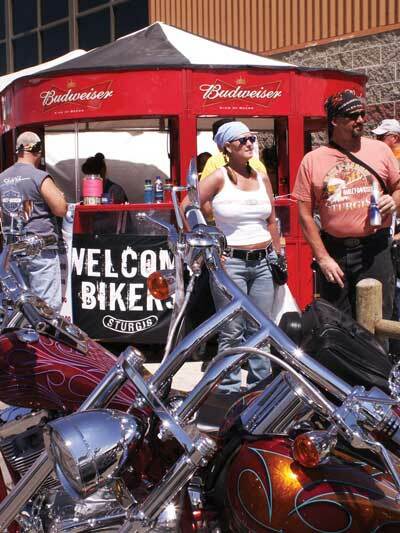 This entry was posted on June 29, 2010 at 12:10 pm and is filed under motorcycle rally, Uncategorized. You can follow any responses to this entry through the RSS 2.0 feed. You can leave a response, or trackback from your own site.